Comments: Leaves normally not eaten by fish; overwinter indoors; naturalized in shallow ponds, ditches and sluggish streams. 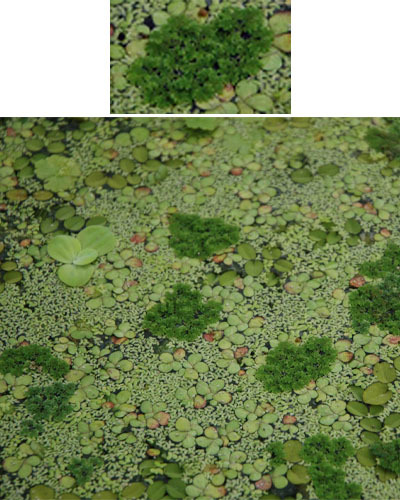 The sporophyte of Azolla caroliniana commonly survives throughout the year in temperate areas (with hard frosts and prolonged ice cover). It is the best adapted of all species for subsistence on mud.